This is a very surprising announcement after Trump and the Iranians have been escalating their rhetoric after Trump’s May withdrawal from the landmark nuclear accord. It’s unclear whether Rouhani has any interest in meeting with Trump. 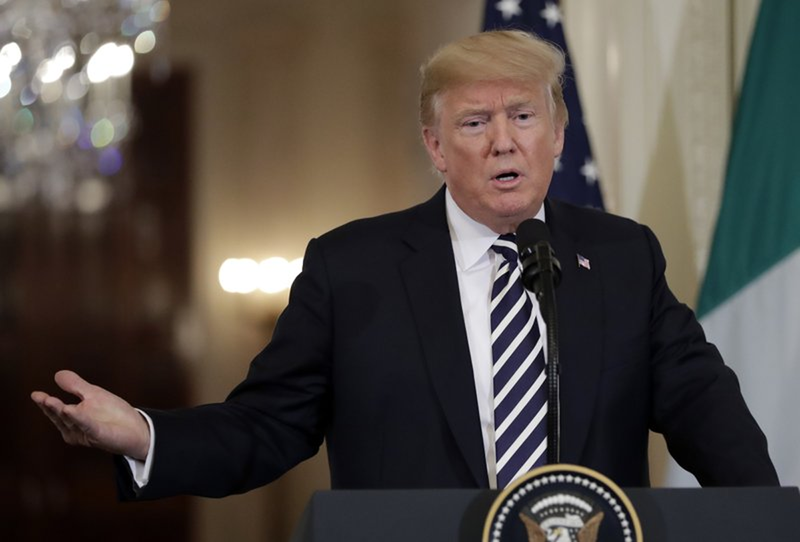 President Donald Trump said Monday that he’d “certainly meet” with Iranian President Hassan Rouhani, and without preconditions, if the Iranian leader were willing. “To Iranian President Rouhani,” he wrote on Twitter. “If the Iranians demonstrate a commitment to make fundamental changes in how they treat their own people, reduce their maligned behavior, can agree that it’s worthwhile to enter in a nuclear agreement that actually prevents proliferation, then the president said he’s prepared to sit down and have a conversation with him,” he said.